1.) Check for Accurate Business Information. Consistently check your business information is accurate and matches your website exactly. 2.) Optimize your Google My Business page targeting specific keywords for your targeted lines of insurance. This is the bulk of the program. We will share your blogs or write other content to get people clicking. This can act as a mini ad and can show up in local search results. 4.) Set up text messages that send to your office. Do you accept text messages at your office yet? 5.) Update your office hours. Is your office closing early for a staff meeting? Are you closed for holidays? With a simple email from you, we’ll keep everything updated. Update pictures of your staff, interior and exterior of your office and any other photo you believe will help broadcast your agency. 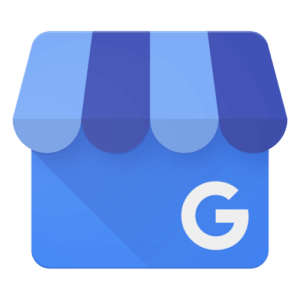 Stay up to date with any new updates related to Google My Business changes. 8.) Answer questions from customers and respond to Google reviews. As much as we would like to handle this for you, you would be responsible for responses to reviews. We can notify you, but ultimately, you will need to respond. To save time, we can alert you of the question or review and you can email us your response. We will login to your account with your response. While you would be responsible for taking the videos, we can take care of adding them to your Google My Business page. This is an important new piece of local search optimization that your agency can participate in. For a small monthly fee we will handle this for you to help improve your local search results and targeted keywords when people are looking for an insurance agency near them. Fill out the contact form on the right -> to get started.